Best buy ever. 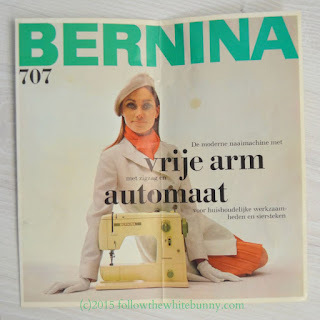 A couple of months ago I read about the Bernina 707 on Kerry's blog. Out of curiosity I checked a popular Dutch Market place website to see if I could find any locally and there it was: for just 50 euros. Even though I didn't need an extra machine, I couldn't resist the bargain and I'm so glad to have acquired this little gem of a machine! The Bernina 707 Minimatic is an incredibly solid, reliable avocado coloured machine. 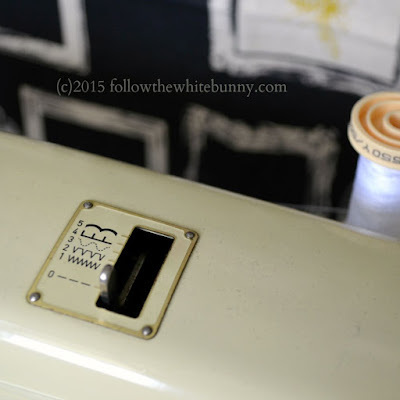 I had no idea that I could actually sew neat, straight seams until I got this machine. My new-ish Husqvarna produces seams with a slight wobble and I always thought my sewing skills were to blame. Apparently not. This 40 year old machine simply does it better. And with about 8 years of sewing experience I now know I don't need a machine that can do 463 different stitches that I'll never use. Just the regular ones will do, thank you. I have also learned that I should have looked (and tried) other brands before instead of sticking to the one I happened to have had my first sewing experience with! After a brief but disastrous affair with a Singer Sewing Machine, my husband got me a basic Bernina many years ago - it's performance has been flawless - my sewing, not so much! At least the frustration is all mine! I live in Massachusetts but am a Dutch woman at heart (maiden name - VanderKooy). I love your blog!!! My mom's bernina which I learned to sew on is 40 years old and still sews better than any other machine I've used. Berninas make life oh so much better! Congratulations on the new/old machine! Hope you enjoy many happy hours together. Mom bought an olive green Bernina in the early 60's similar to this one. Put all seven kids - boys and girls, through sewing lessons. My brother even made spending money when he joined the military as he was the only one in Boot Camp that could run their sewing machine for altering uniforms. 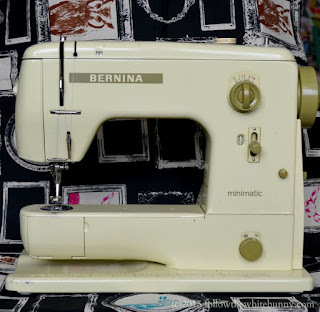 I could not afford a Bernina when I left home and sadly made due with a Sears special for decades also assuming as commenter Watt said, that my sewing skills were to blame. Purchased a 1260 in the mid-90's and have been happily sewing, embroidering and quilting since. Both my kids learned on that 1260. I have been promised Mom's old olive green machine which I hope will be many years in the future but it still produces just like it did when we kids were learning. I'm not sure of the exact value but I do know it's quite popular at the moment. If it's working well and has accessories then it should fetch at least 125-150 euro maybe more... It's a very reliable brand.